Can Victor Robles, Juan Soto make Nationals forget about Bryce Harper? 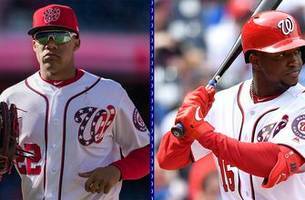 Kevin Burkhardt, Frank Thomas and Dontrelle Willis discuss the potential impact Victor Robles and Juan Soto can have in Washington. Is Craig Kimbrel the cure for what is ailing the Phillies bullpen? 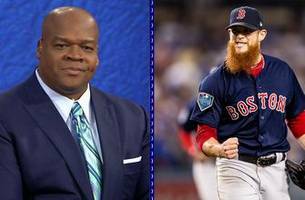 Kevin Burkhardt, Dontrelle Willis, and Frank Thomas discuss if the Philadelphia Phillies should sign FA closure Craig Kimbrel after the bullpen’s early struggles. 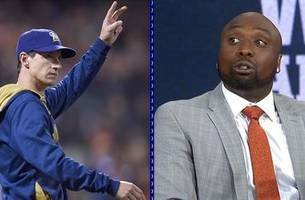 Dontrelle Willis thinks some unsung heroes will need to step up for Milwaukee's bullpen to offset the injuries they are dealing with. 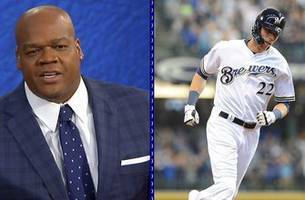 Frank Thomas and Dontrelle Willis discuss where Christian Yelich ranks among MLB hitters.